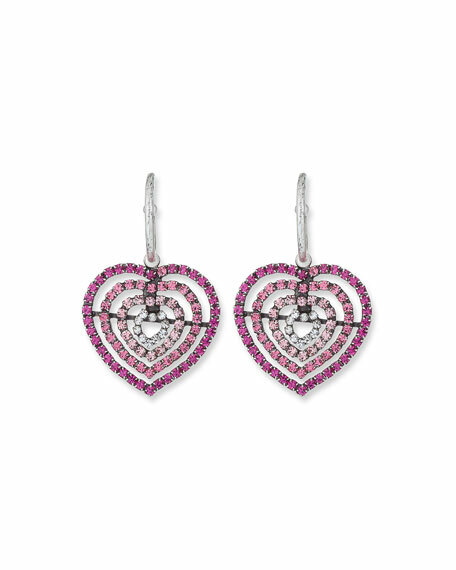 Constance heart drop earrings by Dannijo. Oxidized silver hardware and settings. Graduated hearts with glass stones.